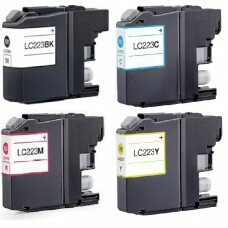 Brother LC121 / LC123 MULTIPACK + Extra Zwart2x LC121 / LC123 Zwart 20ml1x LC121 / LC123 Cyaan 10ml1.. 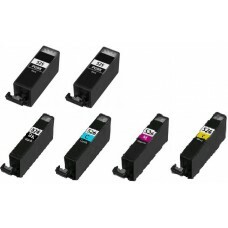 Brother LC1220 / LC1240 / LC1280 XL MULTIPACK + Extra Zwart2x LC 1220 / LC 1240 / LC 1280XL Zwart 30.. 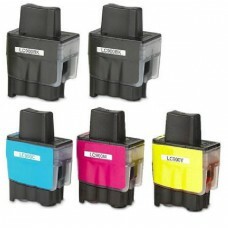 Brother LC125 XL / LC127 XL MULTIPACK + Extra Zwart2x LC 125 XL / LC 127 XL Zwart 30ml1x LC 125 XL /.. 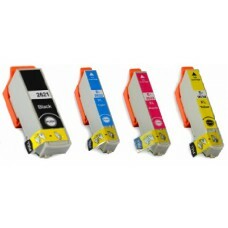 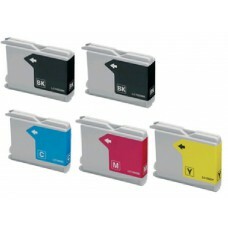 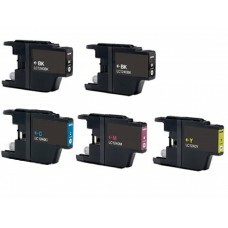 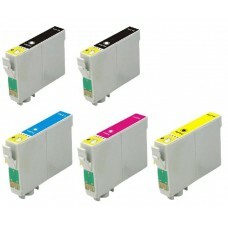 Brother LC223 MultipackBrother LC 223 Zwart 20mlBrother LC 223 Cyaan 10mlBrother LC 223 Magenta 10ml.. 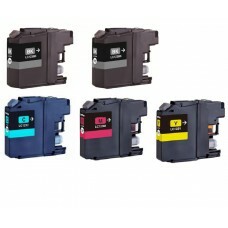 Brother LC 900 MULTIPACK + Extra Zwart2x Brother LC900 Zwart 24ml1x Brother LC900 Cyaan 15ml1x.. 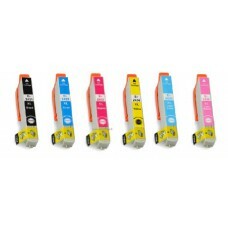 Brother LC970 / LC1000 MULTIPACK + Extra Zwart2x Brother LC 970 / LC 1000 Zwart 23ml1x Brother LC 97.. 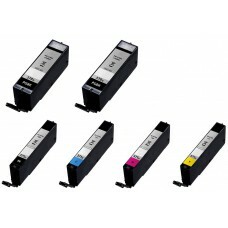 Brother LC980 / LC1100 MULTIPACK + Extra Zwart2x LC 980 / LC 1100 Zwart 20ml1x LC 980 / LC 1100 Cyaa.. 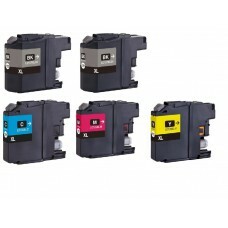 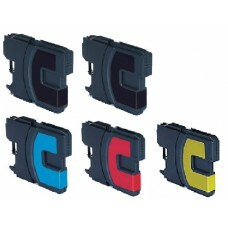 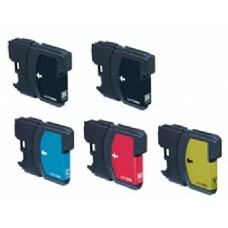 Brother LC985 MULTIPACK + Extra Zwart2x LC 985 Zwart 28ml1x LC 985 Cyaan 12ml1x LC 985 Magenta 12ml1..
Canon PGI525 / CLI526 Multi Pack + Extra Zwart2 x PGI 525 Black 21ml1 x CLI 526 Black 11ml1 x CLI 52..
Canon PGI550 XL / CLI551 XL MULTIPACK + Extra Zwart2 x Canon PGI550XL Zwart 25ml1 x Canon CLI551XL Z..
Canon PGI570 XL / CLI571 XL MULTIPACK2 x Canon PGI570XL Zwart 25ml1 x Canon CLI571XL Zwart 15ml1 x C..
Epson T24XL (T2438) MULTIPACK1x Epson 24XL (T2431) Zwart 15ml1x Epson 24XL (T2432) Cyaan 15ml1x Epso..
Epson T26XL (T2636) MULTIPACK1x Epson 26XL (T2621) Zwart:24.5ml1x Epson 26XL (T2632) Cyaan 10ml1x Ep..
Epson T0441 (T044140) Zwart 20mlEpson T0442 (T044240) Cyaan 18mlEpson T0443 (T044340) Magenta 18mlEp..